Here are my nails with one coat of China Glaze Drawn To You. I used the magnet from my blue Icing MagnetiX polish - which I'm giving away a set of - don't forget! My alignment on some fingers was a little wonky and my ring finger didn't turn out so well, sorry about that! 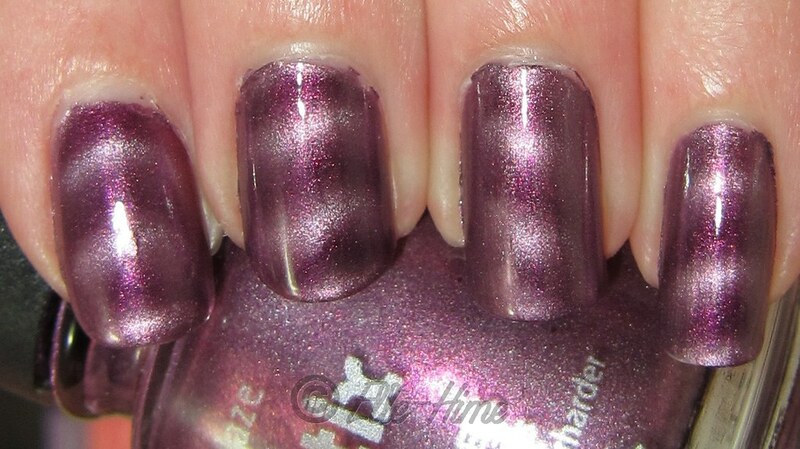 This polish is purple with pink shimmer, and a lavender magnetic design. Really nice, but it looks best in the sun. Because these dry to a satin finish I used a top coat. 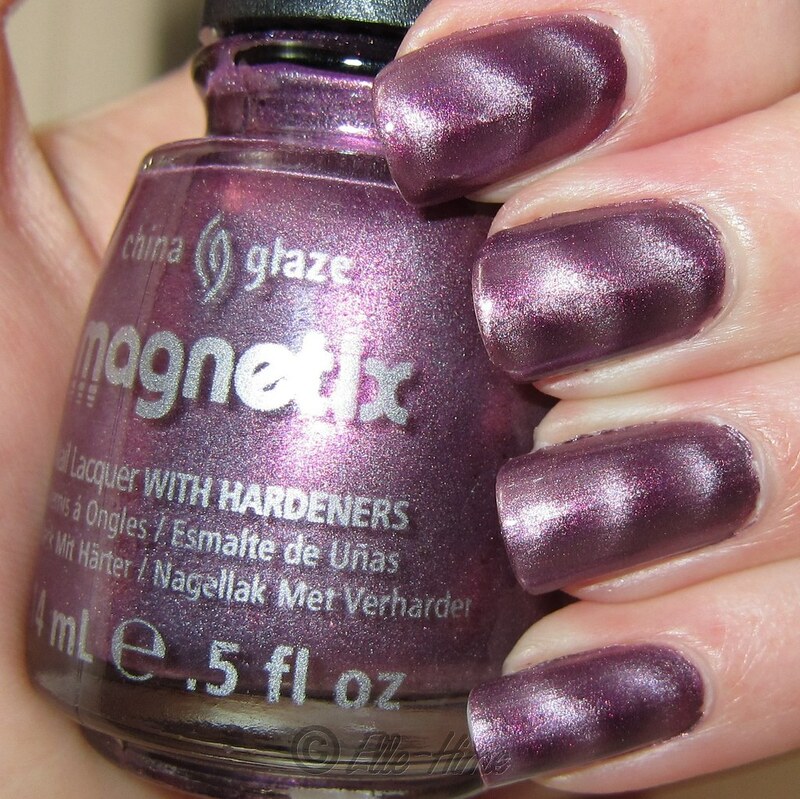 Wear is typical to most magnetics - they just don't hold up like a regular polish does. After a day I had tip wear. Of course I don't wrap the tips with my magnetic polish, either... without fail I forget! Oh I never knew China Glaze had a magnetic range out! This colour is truly gorgeous! Thank-you so much for the comment! I ended up really sick last night so finding all these little comments on my blog in the morning was a pick-me-up! Wow, such a pretty polish! It's a very nice color on you and you did a great job of applying it. Thank you for your review and sharing.